At Villanova College, our athletic program is supported by our coaching staff which is comprised of dedicated teachers, staff, and community volunteers. Many of our coaches hold National Coaching Certifications and have competed or coached at the university, provincial, professional, and national levels. Along with their high level of expertise, our coaches are also role models. They lead by example in their dedication to discipline, excellence, and sportsmanship. Our coaches are committed to helping all our Knights reach their potential as athletes at Villanova and beyond. Coach Purdy has been on Villanova's coaching staff since 1999. He has coached many teams, including the Varsity Girls' Soccer Team which has won Single A OFSAA Gold three times (2007, 2013, and 2014) and the CISAA Championship five times (2009, 2011, 2012, 2013, and 2014). Purdy also coached the Varsity Boys' Soccer Team to CISAA DII Gold in 2014 and a Silver medal in 2015. 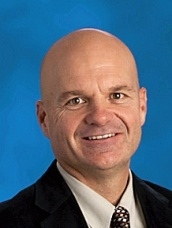 Stuart Stanbury is Villanova's Co-Athletic Director and the Head Coach of the Junior Boys' Basketball Team. 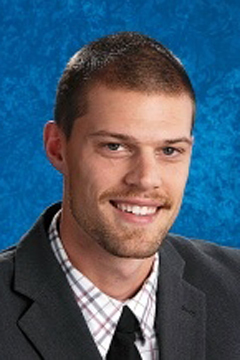 In 2012, Stanbury was part of the coaching staff that helped the Varsity Boys' Basketball team to a 32-5 season record, a CISAA Silver Medal, and OFSAA Bronze. Stuart is also part of Villanova's Math Department. 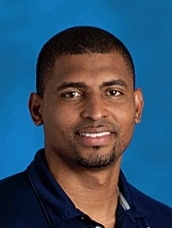 Derek Alexander has been a member of the Villanova College coaching staff since 2009. In that time, he has coached the boys' basketball team to several successful seasons including several tournament championships and OFSAA medals. Coach Alexander is a certified personal trainer who instructs numerous fitness and basketball camps throughout the year. Prior to his time at Villanova College, Derek was a member of the Cape Breton University Capers Men's Basketball Team. Tonia Redhead has been a part of Villanova's coaching staff since 2002. Prior to VC, she was a member of Canada's National Track and Field Team in long jump and the 4 x 100m relay. As an athlete, she competed in major events across the world, including the Jeux de Francophonie in Morocco, The World Student Games in West Germany, and The Pan American Games in Havana, Cuba. Coach Redhead also has her Level 2 (Practical and Theory) National Coaching Certification. QB Mascarenhas has been coaching at Villanova College for seven seasons. Several girls from our teams at Villanova have gone on to play at the university and national level due in large part to Coach Mascarenhas' expertise and dedication. He has coached all levels of men and women's field hockey since 2000, and holds his Level I and Level II Coaching Certificates, and is working towards his Level III. Some of Mascarenhas' coaching experience includes; Assistant Coach on Canadian Women's National Indoor Field Hockey Team in 2010; Guest Coach on the U21 Canadian Men's Team 2007-08; Assistant Manager and Coach of Guyana at the 2005 Indoor Pan-Am Cup. Coach Lio has been the Head Football Coach and Quarterback Coach for the Villanova Knights since the 2002 season. Before joining Villanova, Marcello was a professional quarterback on three European teams (Nürnberg Rams, Bolzano Giants, and the Bergamo Lions), and a four-year quarterback at York University. In 2006, he spent a season as the Offensive Coordinator and Quarterback Coach for an Italian professional team, the Bergamo Lions. In 2014, Lio was selected as the Head Coach and Quarterback Coach of the GTA 'Rising Stars' All Stars and also Team Canada's Junior National Team Quarterback Coach. 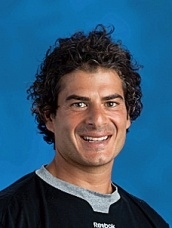 Samir Chahine has been a member of the football coaching staff at Villanova College since 2005. Coach Chahine has experienced many successes both as a player and as a coach at the professional and university levels. At McGill University, Chahine was a three-time All-Canadian Offensive Lineman from 1995 to 1997, and four-time Shot-Put Champion in Quebec. Samir was the 11th pick overall in the 1998 CFL draft and in his seven year career played for the Edmonton Eskimos, Toronto Argonauts, Hamilton Tigercats, Calgary Stampeders, and the Ottawa Renegades. In 2008, Chahine was the Head Coach and Offensive Line Coach of a professional team in Italy, the Bergamo Lions, and in 2009 he was the Offensive Line Coach of the U of T Blues. Most recently, Chahine was selected as Team Canada's Junior National Team Offensive Line Coach. Coach Blasi has been a member of Villanova's coaching staff since 2002. Along with coaching hockey and football, he is one of Villanova's High Performance Instructors, a Physical and Health Education and Exercise Science Teacher, and a Certified Personal Trainer. Through his expertise, he has assisted many athletes achieve success beyond Villanova, including Alex Pietrangelo '08, a member of the Canadian Men's National Hockey Team and Captain of the St. Louis Blues. 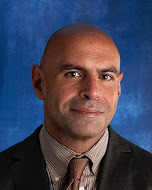 Coach Figliano has been on our coaching staff since 2004, and has achieved numerous successes in that time. Amanda is a NCCP Level 1 and 2 Volleyball Coach, Certified CanFit Pro Personal Trainer, and holds a Reebok Spin Certification. Along with being Villanova's Volleyball Coordinator and Varsity Head Coach, Amanda Figliano coaches boys and girls soccer, and is a Physical and Health Education teacher.